Have you ever felt a sense of déjà vu when watching a cartoon, film, music video, or sitcom? You might be seeing something for the first time, yet elements like the dialogue, costumes, or cinematography feel oddly familiar. Over the last year, Turner Classic Movies and Saturday daytime host Tiffany Vazquez have explored this phenomenon with the classic film community. 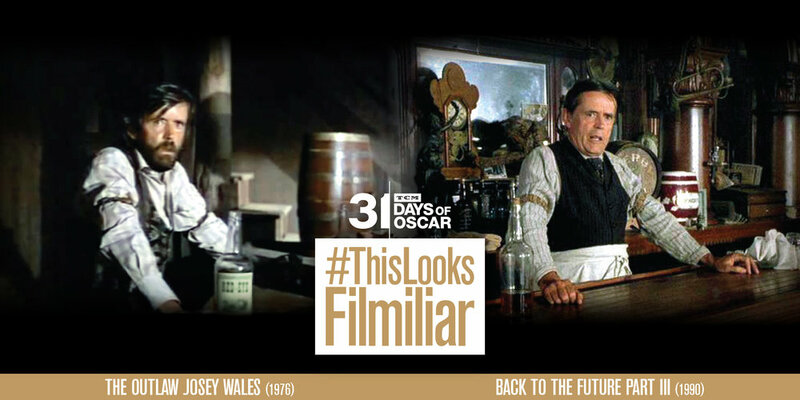 Using the moniker of #ThisLooksFilmiliar, TCM has encouraged film fans to post examples on social media of cinematic references in popular culture. Tiffany and TCM Integrated Marketing Manager, Kristen Welch, also hosted a special event on the last TCM Classic Cruise, highlighting some of their favorite #ThisLooksFilmiliar moments. While attending Tiffany and Kristen's presentation, I was inspired to join my fellow classic film fans in this ongoing conversation. 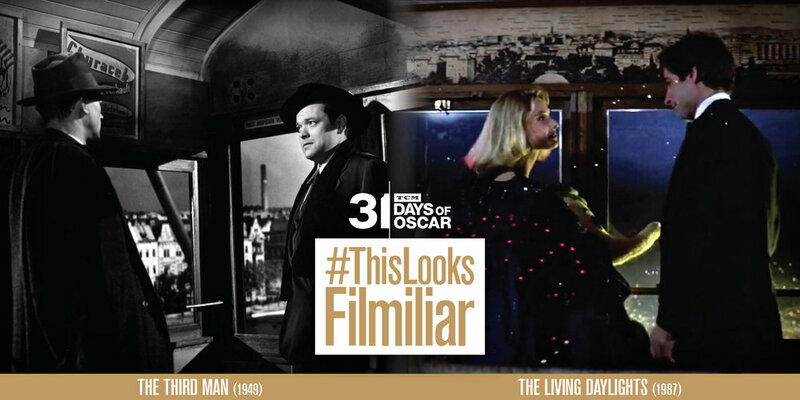 I decided to create an original design series examining #ThisLooksFilmiliar references in TCM's "31 Days of Oscar" festival. After selecting at least one movie per day from the programming schedule, I researched that film's artistic and cultural impact. My resulting designs illustrate how each film was either influenced by a previous work or has influenced a subsequent work. For example, the Mel Brooks' film High Anxiety (1977) includes a scene where the protagonist is getting stalked and ultimately chased by birds – clearly spoofing a similar sequence in Alfred Hitchcock's classic suspense thriller The Birds (1963). In case you missed any of my posts on Twitter, you can see the entire series in the gallery below. 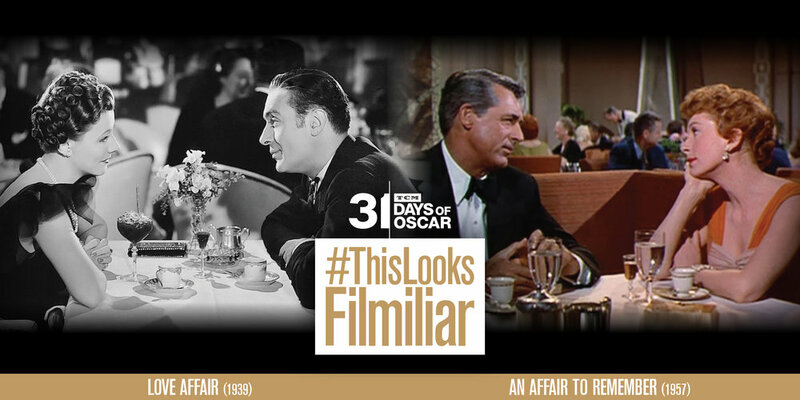 Feel free to share your own examples in the comments section or post them on Twitter using the hashtag #ThisLooksFilmiliar. 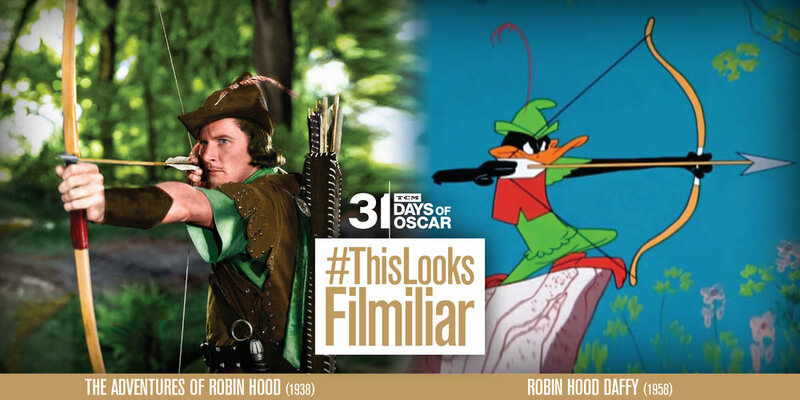 The Looney Tunes animated short Robin Hood Daffy (1958) was inspired by The Adventures of Robin Hood (1938). The Mary Tyler Moore Show: A New Sue Ann (1974) paid homage to All About Eve (1950). Michael Jackson was inspired by the "Girl Hunt Ballet" from The Band Wagon (1953) when crafting the music video Moonwalker: Smooth Criminal (1988). Mel Brooks spoofed the works of Alfred Hitchcock like The Birds (1963) in his film High Anxiety (1977). Mel Brooks parodied Destry Rides Again (1939) in his film Blazing Saddles (1974). Audrey Hepburn's look in Breakfast at Tiffany's (1961) influenced Anne Hathaway's costumes in The Dark Knight Rises (2012). Archer: The Kanes (2015) paid tribute to Bullitt (1968) by recreating the iconic car chase through the streets of San Francisco. The films Calamity Jane (1953) and The Palm Beach Story (1942) have a similar moment between the lead characters. In Saturday Night Live: Season 40, Episode 13 (2015) Kate McKinnon and J.K. Simmons mimiced Ingrid Bergman and Humphrey Bogart's Casablanca (1942) characters. The film Days of Wine and Roses (1962) was a remake of the Playhouse 90: Days of Wine and Roses (1958) teleplay directed by John Frankenheimer. During the "When I First Saw You" number in Dreamgirls (2006) Beyoncé Knowles channelled Dorothy Dandridge's character in Carmen Jones (1954). Since his debut Forbidden Planet (1956), Robby the Robot has made countless cameos in films like Gremlins (1984) . Since his debut Forbidden Planet (1956), Robby the Robot has made countless cameos in films like Cherry 2000 (1987) . Director Bob Fosse based the opening of All That Jazz (1979) after the 42nd Street (1933) curtain call scene. In The Muppet Show: Season 2, Episode 4 (1977) Rich Little and Miss Piggy impersonated Maurice Chevalier and Hermione Gingold's characters from Gigi (1956). Preston Sturges' directorial debut The Great McGinty (1940) inspired elements of Carl Reiner and Steve Martin's film The Jerk (1979). The Beatles famous chase scene from A Hard Day's Night (1964) was parodied in Animaniacs: Season 3, Episode 4 (1995) for the song "Running for Our Fans." References to The Hunchback of Notre Dame (1939) were included in the Animaniacs: Season 1, Episode 4 (1993). The tribunal scene in Planet of the Apes (1968) mirrors the courtroom drama Inherit the Wind (1960). Parts of The Hudsucker Proxy (1994) were inspired by Preston Sturges films like The Lady Eve (1941). Leo McCarey directed two versions of the same story – Love Affair (1939) and An Affair to Remember (1957). The director John Frankenheimer paid homage to Alfred Hitchcock's The Man Who Knew Too Much (1956) in the climactic ending of his film The Manchurian Candidate (1962). After seeing Red Dust (1932), Ava Gardner vowed to act with Clark Gable one day, and she did in the remake Mogambo (1953). Animators in the 30s & 40s, as seen in the short Porky's Road Race (1937), had a field day with Charles Laughton's performance in Mutiny on the Bounty (1935). Character actor Matt Clark played a similar bartender role in both The Outlaw Josey Wales (1976) and Back to the Future Part III (1990). The "row boat" scenes in A Place in the Sun (1951) and Sunrise: A Song of Two Humans (1927) share several parallels. 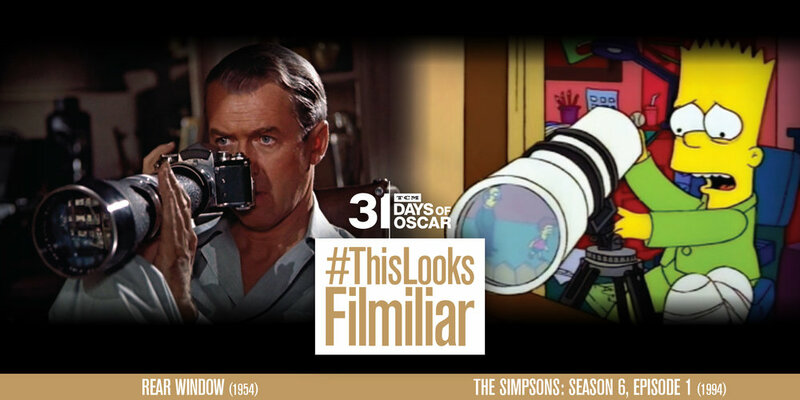 The Simpsons: Season 6, Episode 1 (1994) is a master pastiche of Alfred Hitchcock's Rear Window (1954). 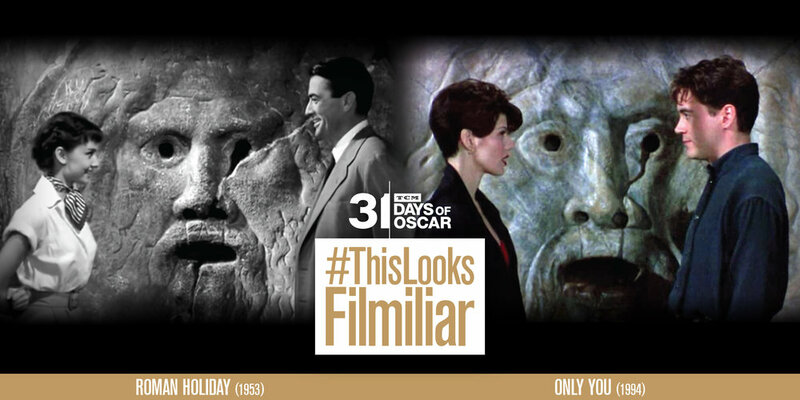 Director Norman Jewison recreated the "Mouth of Truth" scene in Roman Holiday (1953) for his film Only You (1994). The film Satte Pe Satta (1982) is adapted from Stanley Donen's Seven Brides for Seven Brothers (1954). 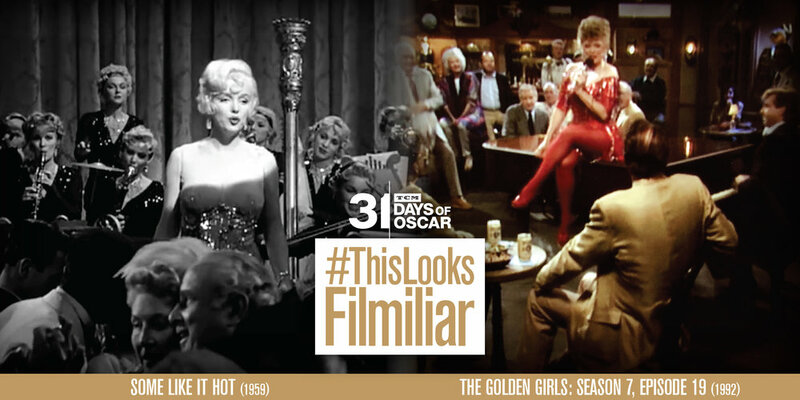 Rue McClanahan channelled Marilyn Monroe's character in Some Like It Hot (1959) for The Golden Girls: Season 7, Episode 19 (1992). Alfred Hitchcock's film Strangers on a Train (1951) inspired the comedy Throw Momma from the Train (1987). The Third Man (1949) and the James Bond film The Living Daylights (1987) both have key scenes filmed at the Wiener Riesenrad in Vienna. After seeing To Be or Not to Be (1942) in 1972, Mel Brooks decided to remake the film [To Be or Not to Be (1983)] with his wife Anne Bancroft. The Looney Tunes short 8 Ball Bunny (1950) repeatedly spoofed the Humphrey Bogart character in The Treasure of the Sierra Madre (1948). The "Puttin' on the Ritz" scene in Mel Brooks' Young Frankenstein (1974) spoofed a similar sequence in The Walking Dead (1936). To TCM and the #TCMParty community, I would like to say a huge "thank you" for all of the likes and retweets of my #ThisLooksFilmiliar series. Your continued support of my work is amazing and sincerely appreciated!